By Bob Sobolewski, President and CEO at ebm-papst Inc. Continuing our support of FIRST® (For Inspiration and Recognition of Science and Technology) and FIRST teams in Connecticut, from April 26-28 we travelled to the Edward Jones Dome in St. Louis, where students, fans, families, educators and company leaders from all over the world gathered for the annual FIRST ® Championship. More than 600 teams from 32 countries demonstrated Gracious Professionalism and Coopertition® (that means competing AND working with your opponent) in the three levels of FIRST: FIRST® LEGO® League (FLL); FIRST® Tech Challenge (FTC) and FIRST® Robotics Competition (FRC) while 40 teams of 6 to 9-year-olds showcased their smarts during the Junior FIRST® LEGO® League World Festival Expo. 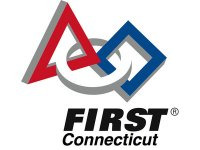 In addition to serving on FIRST®’s regional planning committee and chairing Connecticut FIRST®’s executive advisory board, I’ve been honored to serve as an FRC judge at both regional and national competitions for almost 15 years. Every year, the teams get better and the judging gets tougher! ebm-papst’s booth at the championship helped students and mentors learn not only about the small ebm-papst tubeaxial fans that cool their teams’ robots, but also how our larger radial and axial fans are employed across dozens of industries and hundreds of applications. 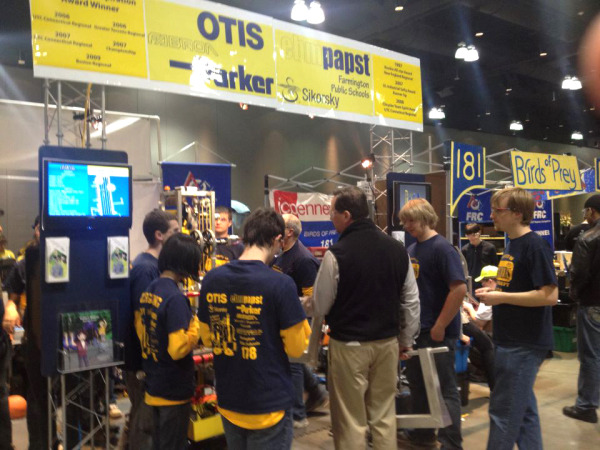 Bill Aston, Team 178 mentor and ebm-papst Inc. Operations Manager with the Enforcers at the CT Regional's.